Flora has written, directed, presented or produced over 160 short films for One Line Films, Monumental Adventure, and the BBC. Each film has to be 'filmic and magnificent' no-matter the subject matter. Whether it is a bank, museum, pudding or ukulele shop, the film has to have a sprinkle of fairy dust or its in the bin. We use 3 camera crews and 3 editors each with their own definitive style. This means we can pick and choose the right 'mood' for each client's film. Our teams can be as small as 1 camera and director, up to 3 cameras, 1 sound man, producer and director according to each shoot. As long as we film your message with as much beauty and style as possible, then we're happy. Michelle is a graduate from the University of Nottingham and also has a post-graduate diploma with distinction in Journalism. She is a co-producer at One Line Films working closely with the founder on accounts, creative processes, film direction and strategy. Flora made me feel relaxed and managed to bring out my personality in a natural way which took talent! The process was professional, efficient and fun from start to finish and I could not be more thrilled and proud with the results! 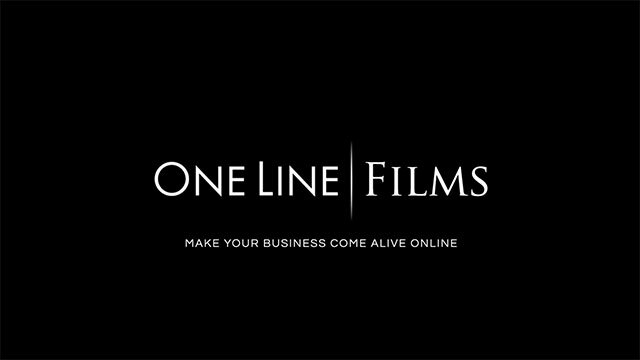 One line films friendly and professional approach allows them to understand their client’s needs and quickly identify what they would like to achieve. An initial meeting to discuss ideas for the style and content of the film. We work very closely with the client at this stage to come up with something original which shows the brand in its best light. After this meeting a script is written and approved by the client. A 2-minute film should take less than a day to shoot. Our crew consists of a camera/soundman and a director, and our aim is to make it as relaxed, fun and creative as possible. A first cut is shown to the client. Again, we work closely with the client to tweak any changes before we edit the final cut. The client has 2 reviews of the edits before we sign off on the film. Not only will you have the film delivered to your site, with a custom designed player or even a whole new video-based website, your film will also then be posted on facebook, twitter, Youtube and a choice of other distribution channels, making sure your film gets out to the wider world. OLF produces Christmas shoot for Wiltons and Francos restaurant and goes into development for ‘private-dining’ films. The shoots took place in Cambridge, Hull, Bournemouth and London using 3 camera crews and extremely willing members of staff.